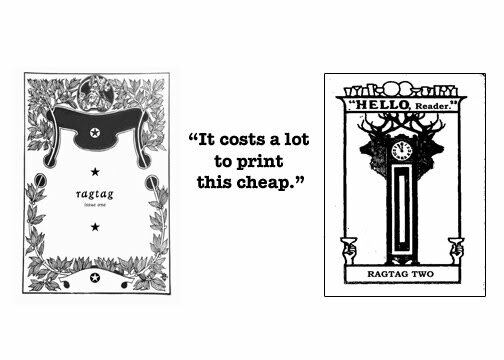 Ragtag Two featuring work by Ariel Goldberg, Thomas Trudgeon & Valerie Witte. Pre-order your copy ... donations to cover postage & printing costs are most welcome. And thank you ... !